It’s rhubarb time again, which means it’s really Spring! Hooray! And in celebration, I have a quick, Springy recipe to share. 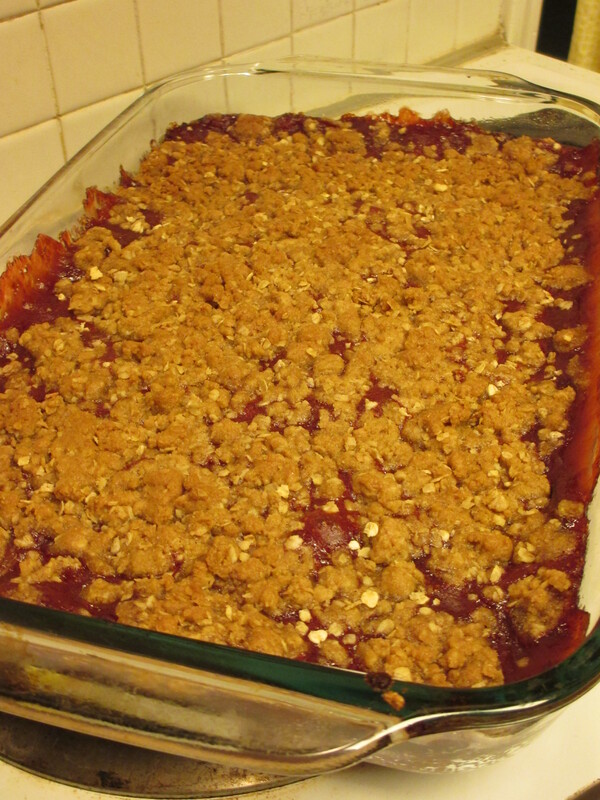 I used our fresh rhubarb, and frozen strawberries from last year to make it. Rich said it tastes like a strawberry nutrigrain bar. (Only better, because we know what’s in it!) And it’s quick and simple to make! Original recipe source was found on Pinterest. Combine rhubarb, strawberries and lemon juice in 2-quart saucepan. Cover; cook over medium heat, stirring occasionally, until fruit is tender (8 to 12 minutes). Heat oven to 350°F. Combine all crust ingredients in large bowl. Beat at low speed, scraping bowl often, until mixture resembles coarse crumbs. Reserve 1 1/2 cups crumb mixture. Press remaining crumb mixture onto bottom of greased 13×9-inch baking pan. Spread filling over crust. Sprinkle with reserved crumb mixture. Cooking from the Garden, in the middle of winter. I got a burst of energy last week (and now it’s gone…), but I decided to put it to good use, and cook some dishes using our lovingly preserved goodies from this summer. No better way to beat those dreary January days than cooking with goodies you grew with your own hands! I wanted to share this one with you, just because it turned out so scrumptious! 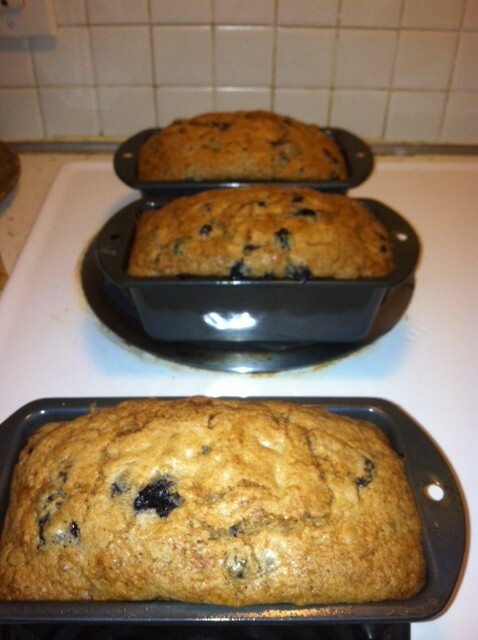 You’ll also be able to find this recipe on our “Recipes from the Farm” tab! 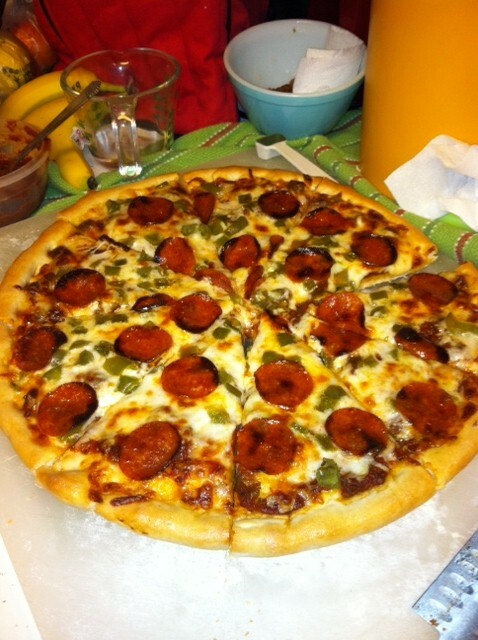 And just to make your mouth water, Rich made us a SUPER Superbowl pizza using home canned sauce, and preserved onions and green peppers.